Road trips and children often don’t mix. Between the endless questions about when will we get there and the multiple bathroom stops you are forced to make, kids will bicker with each other, moan about being bored and just hate the car trip in general. In turn, what you thought would be a great time to spend as a family has turned out to be an utter nightmare. But you can quickly turn everybody’s foul mood around by playing some fun car games. 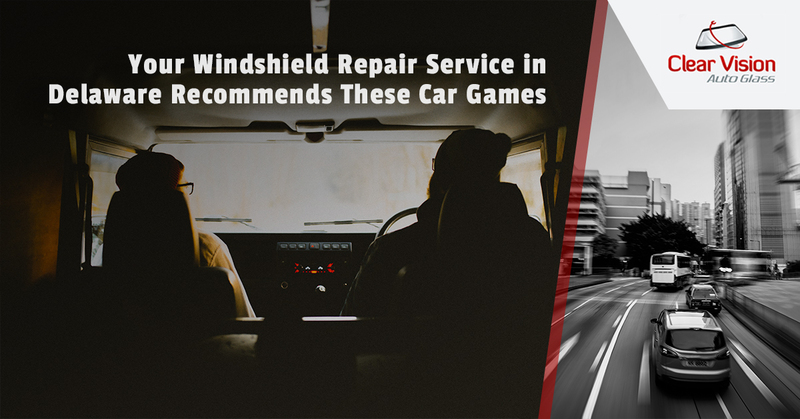 Clear Vision Auto Glass, your windshield repair service in Delaware, offers a few car games you can play to make your road trip much happier. One participant chooses the right side of the road while the other chooses the left side of the road. Each player keeps their eyes out for signs and license plates on their side with the letters of the alphabet. The object of the game is to cross off every letter you spy until you have found all 26 letters. You can make the game even more challenging by having to find the letters in order, from A to Z. Read off the letters from a license plate you pass or that is in front of you, then go around and see if you can think up of the best phrase. For example, the letter SDB could stand for “stinky dog breath” or something completely zanier. This game will have the entire family laughing and it never gets old. When driving through cities or towns, have each person in the vehicle pick a favorite food or beverage place like Applebee’s or Starbucks. Each time someone sees that place or even a sign for it, they get a point. The person who wins gets to enjoy the next food stop at the location they chose. Before your family leaves on a road trip, make a list of things for them to look for while traveling. For example, some things on this treasure hunt list might include a red barn, a yellow car and a lady with an umbrella. Make sure you create a big list with lots of diverse items to find. Make copies of the list and hand them out to the family members; when an item is spotted, they get to mark that off the list. When your family reaches their destination, the person who found the most items wins the game. This is a game people in cars have been playing for years. One person starts off by spotting something, like a red car, and says, “I spy something red.” Everybody else in the car then gets to try to guess what it is. The person who guesses correctly gets to start the next round. Choose a time limit and have each member of the family pick a number. This number will represent how many cars of a certain color will be spotted in that period of time. The closest guess wins. If you need to have your windshield repaired before a road trip, contact Clear Vision Auto Glass.